Court OK's Emoluments Subpoenas Over Trump Hotel - Joe.My.God. The attorneys general in Maryland and Washington say they plan to serve as many as 20 companies and government agencies with subpoenas by mid-day Tuesday. It’s the first time a lawsuit alleging a president violated the Constitution’s emoluments, or anti-corruption, clauses has advanced to the discovery stage. 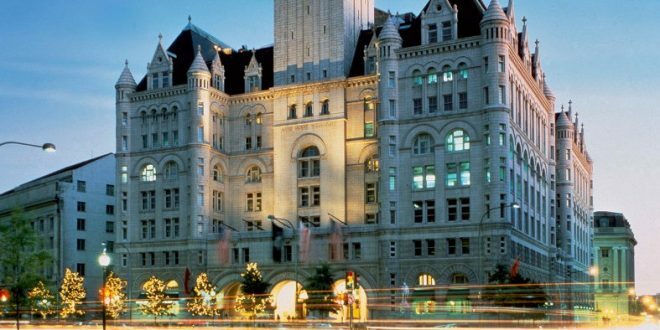 Subpoenas will be issued to state and federal government agencies and to customers and competitors of the Trump International Hotel, located just down the street from the White House, Maryland Attorney General Brian Frosh said. If Justice Department lawyers do seek to stop the case, he said he was confident the delay would be temporary.